The City of Vaughan has developed a multi-year strategy to rebuild and maintain the urban tree canopy which builds on the previously established annual program to replace trees lost due to regular mortality, Emerald Ash Borer (EAB) infestation and storm damage. Approval of the 2017 Budget allowed the City to aim to replant approximately 6,500 trees. This represents about five times the normal annual planting volume. The plan includes replacement trees and the removal of stumps which will also help to minimize disruption within the City’s neighbourhoods. 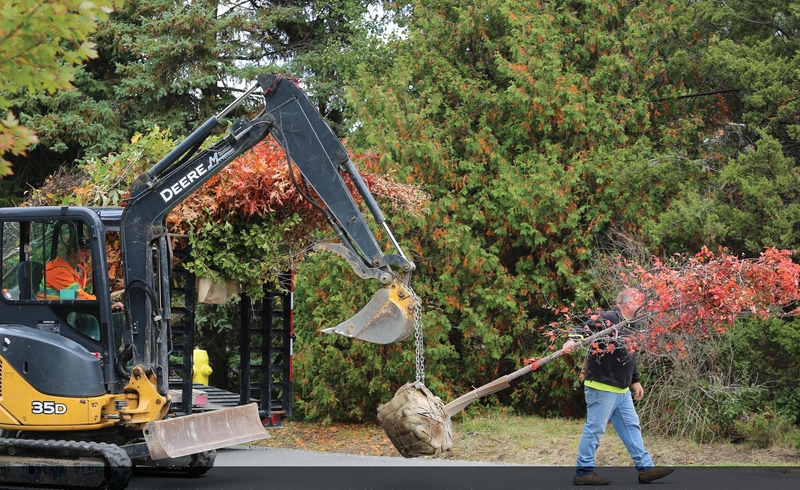 The Tree Replacement Strategy provides a plan for managing the planting of trees in the City. The strategy includes estimating the number of dead trees, the number of trees to be replanted and the number of brand new trees to be planted in a given year. The activities supporting this objective are on track with no issues identified. The number of trees planted in 2017 was 7,310, which exceeded the target of 7,200, as well as the number planted in 2016. The new trees planted for the City of Vaughan have also removed 394 tonnes of CO2 creating a healthier environment. Vaughan’s 2018 Tree Planting contract began in May and come to an end in November. In 2017, 7265 trees were planted across the City in which 6701 were street trees and 564 planted through various events. In 2018, 4000 trees will be planted on streets and 1000 will be planted in parks. Due to the Emerald Ash Borer infestation over the years, Horticulture staff are removing all remaining Ash trees and using various tree species to ensure no new trees are infected and to promote the survival rate of newly planted trees. Some residents may prefer not to wait for the City to replace the tree on the City-owned boulevard in front of their property or they may want a larger tree. For more information on this process, download the Application Package. Planting provisions provide detailed information about tree planting and mulching requirements. The City does not plant trees on private property. For information and assistance with private tree plantings, we encourage you to check out the Local Enhancement and Appreciation of Urban Forests (LEAF) backyard planting program. Here are some more tips on planting your own tree.